Puri is famous as the land of Lord Jagannatha, where the annual Rathayatra festival draws millions of devotees from all over the world. The state of Odisha is also famous as Utkala and Udradesh. It is situated between the Rushikulya and the Mahanadi rivers. Based on scriptures and ancient history, Puri is also famous by various names. Here are a few. Aisvarya-dhama: Aisvarya means “opulence.” The worship of Lord Jagannatha is carried out in great opulence, and the name, form, pastimes and abode of Lord evoke feelings of awe and reverence in the worshiper. The Lord resides in Sri Mandir with His consort Laksmi Devi. Madhurya-dhama: Madhurya means “sweetness.” Although He is the Supreme Personality of Godhead, Lord Jagannatha deals with His devotees in an intimate way. Several devotees over the centuries bear testimony to this fact. Also Lord Caitanya during His stay in Puri displayed the sweet mode of intense love which the Vrajavasis felt in separation from Krishna . Thus Jagannatha Puri has all three features simultaneously present: the opulence of Laksmi Devi in Dvaraka; the merciful magnanimity of Sri Caitanya Mahaprabhu; and the unlimited sweetness of the mood of the vrajagopis. 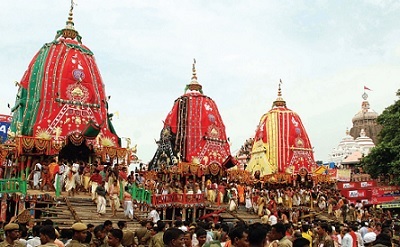 Jagannatha Puri is considered one of the four most important holy places in India, the other three being Badrinatha in the North, Dvaraka in the West, and Ramesvaram in the South. It is said that the Supreme Lord takes bath in Badrinatha, dresses Himself in Dvaraka, eats in Puri, and goes to sleep in Ramesvaram. Puri means “place of residence.” One who lives in Puri is known as Purusa. Lord Jagannatha is Parama-purusa. 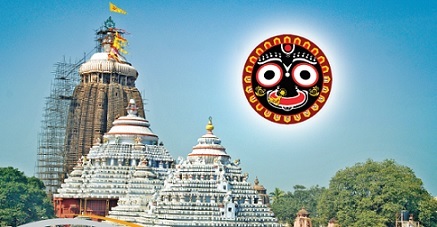 Puri is the place where the Supreme Personality of Godhead resides. The dham is a place where everything is purna, or complete, due to the presence of Lord Jagannatha. Nilacala-dhama: Nila means “blue” and acala means “immovable mountain.” Because the Lord resides here on the top of this blue mountain, Puri is known as Nilacala-dhama or Niladri (Adri is another name for mountain). The Puranas state that Lord Jagannatha was earlier worshipped by a class of people called sabaras (tribal woodsmen) and was known as Nila Madhava. The murti was made of an exotic effulgent blue stone. Later, the Lord manifested in the form of four wooden deities (daru-brahma) that are presently worshiped here. The present day temple is situated on this mountain, and therefore Jagannatha is sometimes called Nilacala-candra. Purusottama-ksetra: Lord Jagannath is Purusottama, or the best among all men. Feeling very affectionate towards this place, He named this place after Himself. Sri Krishna resides here in His arca-murti called Jagannath or Purusottama- Deva. Puri therefore is also known as Purusottama-ksetra. Sankha-ksetra: The holy land of Utkala is divided into four ksetras, which are named after the four weapons of Lord Vishnu – Sankha, Cakra, Gada and Padma. Bhuvanesvara is Cakra-Ksetra, Jajpur is Gada-ksetra, Konark is Padma-ksetra, and Puri, being shaped like a conch shell, is known as Sankha-ksetra. The Skanda Purana says that one should commence parikrama (circumambulation) of Puri in the month of Margasirsa (November- December) on the fifth day of the waning moon, which is the appearance day of Lord Narayana’s Pancajanya conch shell. Sri-ksetra: Sri refers to Sri Devi or Laksmi Devi, who is the svarupa-sakti of Lord Visnu. Being under the influence Sri Sakti, this tract of land is known as Sri-ksetra. Sri Devi is Laksmi, who is a partial expansion of Srimati Radharani. Just as Lord Krishna is the cause of all incarnations, so Sri Radha is the cause of all these consorts. Nrsimha-ksetra: According to Skanda Purana, Puri is known as NrsimhaKsetra. After completing the construction of Sri Mandira, King Indradyumna went to Brahma-loka to invite Lord Brahma for the temple inauguration. Lord Brahma performed a yajna, from which a fearsome form of Lord Nrsimhadeva appeared. The Lord had a seven-hooded Ananta-naga on top of His head and Laksmi devi on His lap. Seeing Indradyumna too frightened to see this form, the Lord immediately turned into a very peaceful form of Narayana. Dasavatara-ksetra: The Lord originally manifests as different avataras in Jagannatha Puri and then goes to various places to perform the pastimes associated with that avatara. After finishing His job of protecting the earth and killing the demons, He returns to Puri. Therefore this place is called Dasavatara-ksetra. Lord Jagannatha wears different dresses to commemorate these ten descents. The Skanda Purana says that the result obtained from seeing all ten avataras is achieved by just one darsana of Lord Jagannatha. Bhauma Vaikuntha: The Lord sometimes descends along with His abode and His associates to this earthly planet. But in some places, He resides eternally in His arca-avatara form along with His dhama. 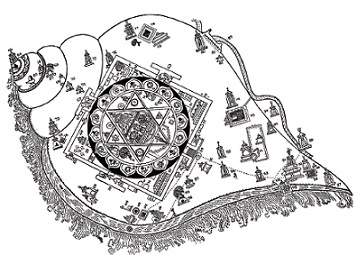 Kapila-samhita states that this tract of land called Purusottama-ksetra is a direct manifestation of Vaikuntha. It is the best of all holy places. Bhu-svarga: Bhu-svarga means “heaven on earth.” In Brahma Purana, it is stated that there is no other place like this on earth and is rarely attained even by the demigods. Harsa Lalita Devi Dasi (Dr. Hima Bindu), M.D., is working as Associate Professor in the Dept of Pharmacology, Kakatiya Medical College (KMC), in Warangal, Andhra Pradesh. She has won the best teacher award at KMC. She also teaches Krishna consciousness to young college girls.